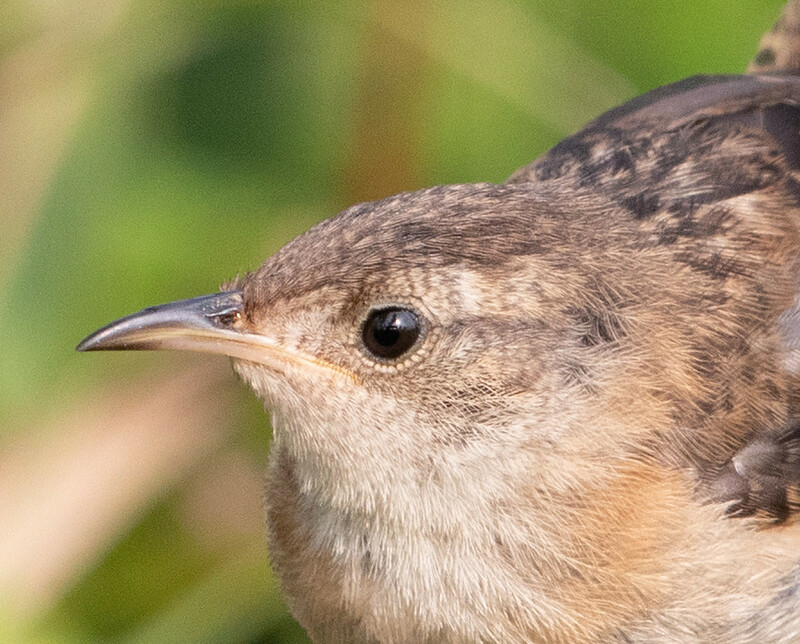 This diminutive, spunky wren lurks in vegetation or flies above it like a bumblebee. Its migration isn’t well understood. It seems to nest late in northern areas. Laura has had her best experiences with it in Port Wing, Wisconsin, and at Madison Audubon’s Goose Pond.